Tap sideways from one of the ends. I see a lot of frustration in the Amazon reviews on how to get the Fitbit Alta screen to turn on. I’ll confess that until I saw a YouTube video by a skilled Alta user I was struggling a bit, too. The key is to remember that the screen is not a touchscreen. I’ve been conditioned by smartphones and tablets to tap up and down on the screen. The Alta does NOT have a touch screen; instead it uses the same accelerometer that it uses to track your steps to turn on your screen. The most effective way to tap is on one of the ends, sideways (axially, to use a more precise term.) This works every single time. 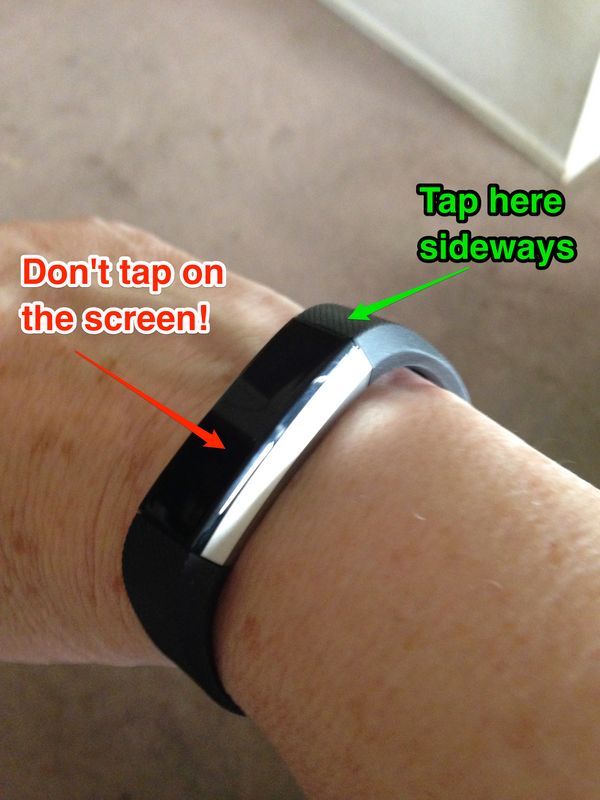 Since you’re tapping on the (silicone) band, it’s quieter, too. Enjoy this black-belt level technique!